It takes advanced recruiting skills to compete for the best people in a scarcity of talent world. Performance-based Hiring can help. Find out where you stand using our Recruiter Circle of Excellence Competency Model. 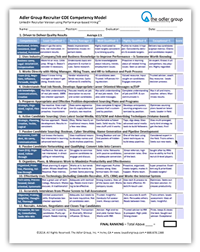 Fill out the form below to download a sample of the Recruiter Competency Model form. 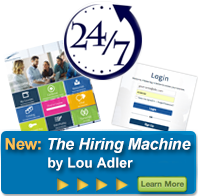 The full form is included with your Performance-based Hiring training. In case you missed it, here’s a short video summary of Lou’s program, Recruiting at the Top of the Funnelsm. For more instant info, you can sign up for our next introduction to Performance-based Hiring and weekly recruiting hot tips newsletter. Complete the form below, check off the boxes that are of most interest and you’ll be on your way downloading the next step in your recruiting career.